Two busy ladies spent some time working out how to make their ten minute shower experience more relaxing and the result was SHOBU, an easy-to-use, no mess alternative to a bath bomb. It turns your regular shower routine into a luxury spa experience and allows you to have a more meaningful spot of me time. Ideal for those with skin problems or who simply don’t have a bath, perfect for everybody! 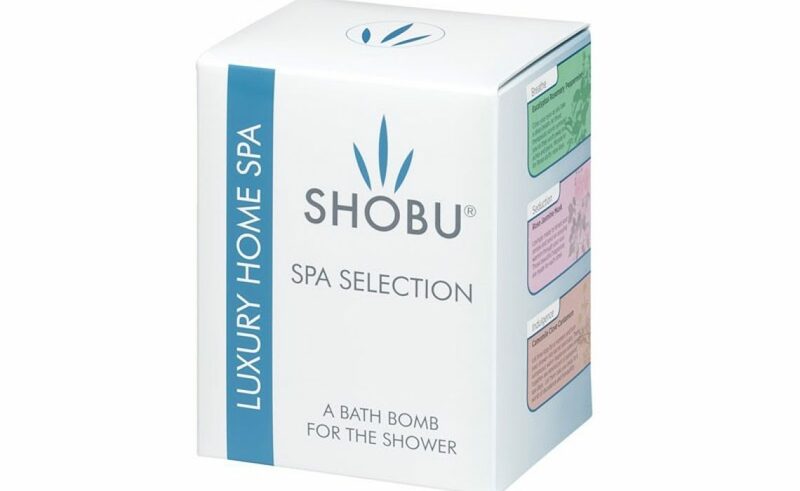 SHOBU tablets are designed to melt away leaving no residue, oils or colour in the shower, whilst leaving you with a wonderful natural aroma that fills the air for hours afterwards, so that you can relive the feeling as you prepare for the day or evening ahead. The team at Spiffy in Carmarthen are currently working like busy elves delivering happiness to people far and wide. Add the SHOBU collection to your basket when you shop online or in their Carmarthen store. The collection of six tablets costs £14.99 or individual tablets cost £2.50 each. The Ingredients and products that go into a SHOBU experience are ethically and sustainably sourced, are vegan friendly, are not tested on animals and are suitable for all skin types.